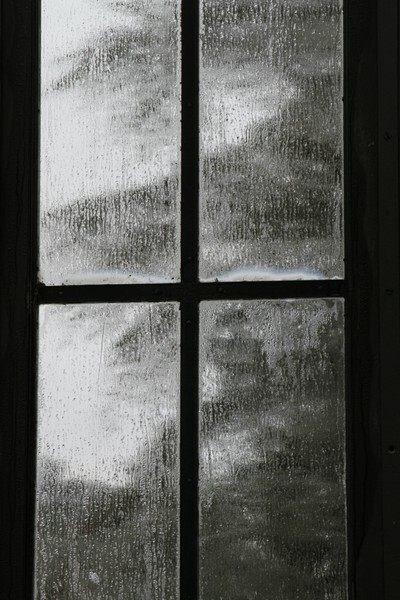 This afternoon a gentle snowfall began. 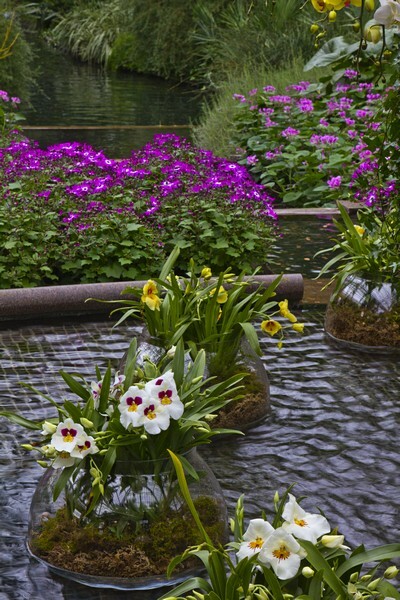 What better time to post about the beautiful Longwood Gardens? A colleague and I visited there the day after the late January snow/ice storm. Appropriate to the weather there weren’t many people there. Because of that Longwood was generous with their tripod usage policy, permitting us to shoot from our tripods after the usual noon cutoff. The post-holiday theme is orchids and they dominated the scene. 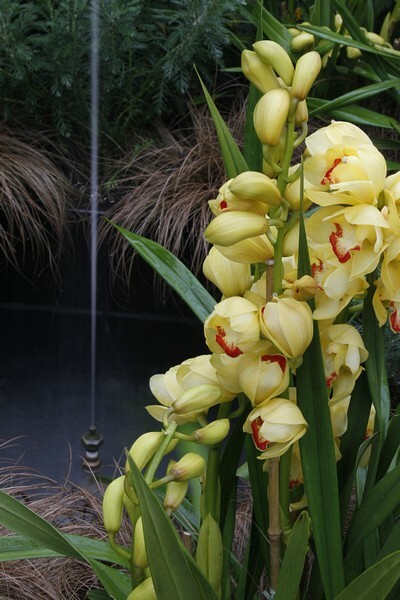 Here’s a simple stalk laden with blooms in harmony with a single fountain jet. 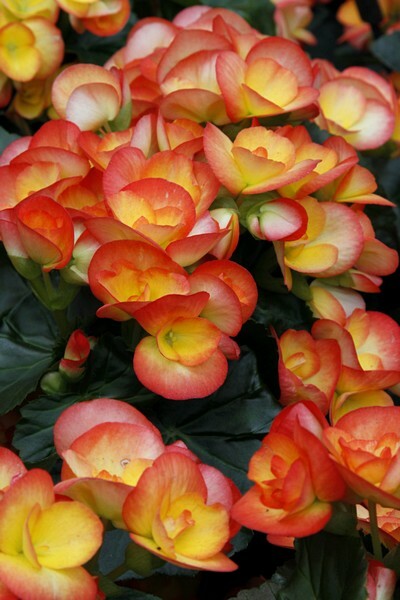 But, there were all sorts of other blossoms such as beds filled with masses of these Rieger begonias. Longwood veterans will remember the warm, humid orchid room down one of the hallways from the main conservatory. Even with the overall theme of orchids this room is still a camera stopper. For this image there was so much light coming from the overhead glass that I found it useful to use a 3G graduated density neutral filter to darken the upper part of the stem. I’ve gotton away from such filters and tended towards HDR but it can be problematic. It was fun to use the “grad” here and have good results, even handheld in front if the lens. 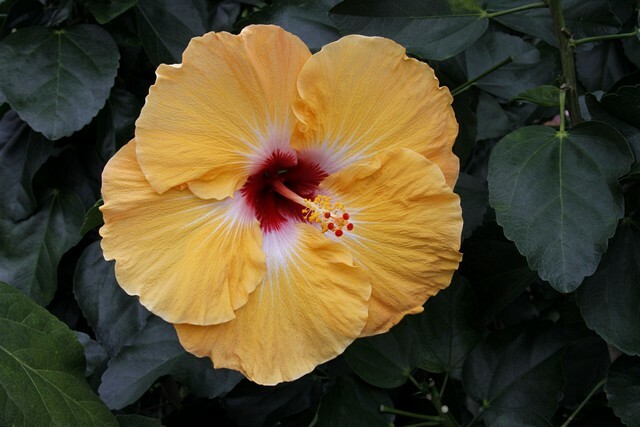 Here’s a near-perfect yellow hibiscus. I saw another last week in a hedge of hibiscus during my week in Florida, growing well without need of a conservatory. 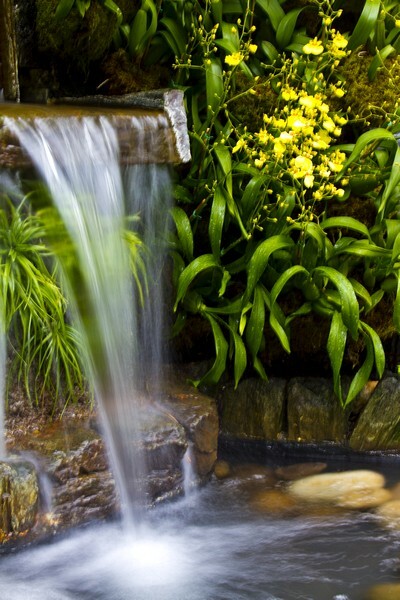 A restful scene of falling water and delicate orchids. Finally, a reminder that winter awaited us outside of these lovely gardens. Beautiful as always! I love the colors in the begonias. I don’t think I have ever seen that shade before. Very timely Ralph… I can almost feel the humidity. Glad you found the perfect day to shoot there. Beautiful colors. Beautiful images during this otherwise fairly dull winter. Great that the normal tripod restriction was lifted for so you could achieve better results all day. I hope to be going there sometime soon again. Such beauty! After the gray-brown of Arizona, your array of flowers coloring each scene made my eyes are happy. We did go to the site of 20,000 migrating sandhill cranes and that was awesome! Absolutely breathtaking! Thank you for sharing. Thanks Ralph. Haven’t been to Longwood Gardens for a couple years. We’ll get there soon, after seeing your pictures. 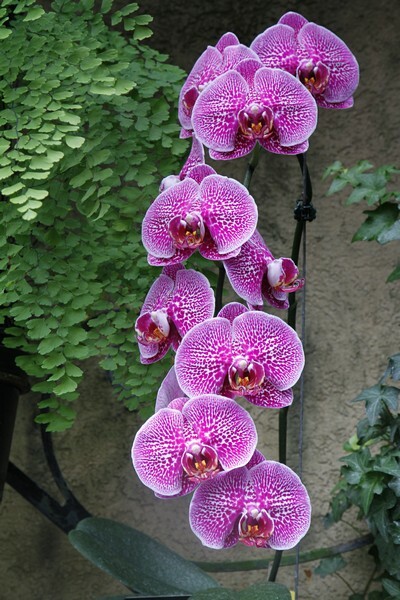 Love the orchids. A great collection of sharp and colorful images! Longwood is always a joy. Enjoyed your pix.. Thanks, all, for looking and I appreciate the comments. We all need to carve out a day in our lives once in a while to visit this wonderful place. I’ve always described it as enlightened capitalism: With Longwood and Winterthur the duPonts made it possible for us to enjoy things that we would otherwise never see.